Hello Dear Steemians From Around The Globe! 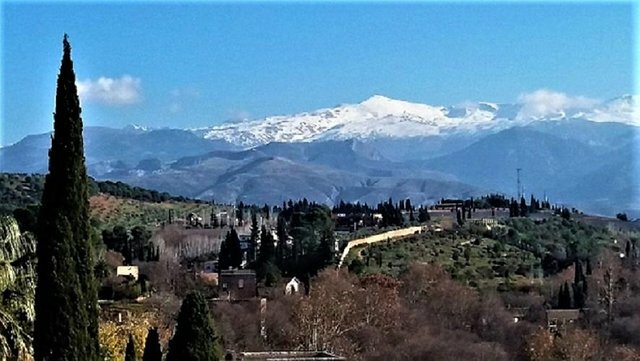 The images that you will see in this post were taken during my tour of Alhambra de Granada. A close friend from my earlier corporate days came to spend the New Year with us in Andalucia. 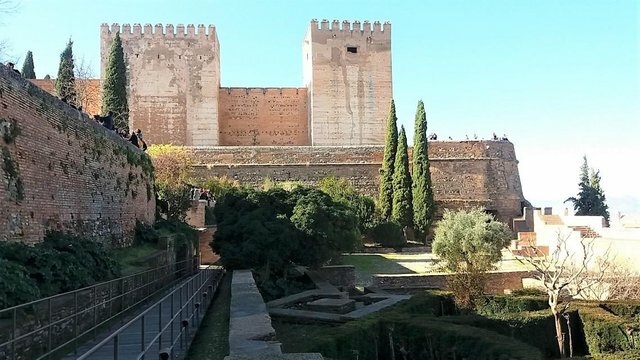 We agreed together that we´d see the The Alhambra (Qal´at al- Hamra).... a lifetime chance to experience the fortified city outside Granada which had been ruled by the muslim sultans of the Nasrid Dynasty that started in 1238 til 1492. They built their palaces and great gardens which til now are visited by millions of tourists from around the world. You will notice the cypress trees planted, they are all over the area. In the old days, the fortress had been full of orchards set-up for purposes of sustainability during the muslim rule. In the modern period since the muslims left, most part of the land surrounding the palaces have been planted with other trees, roses and other flowering plants as well. 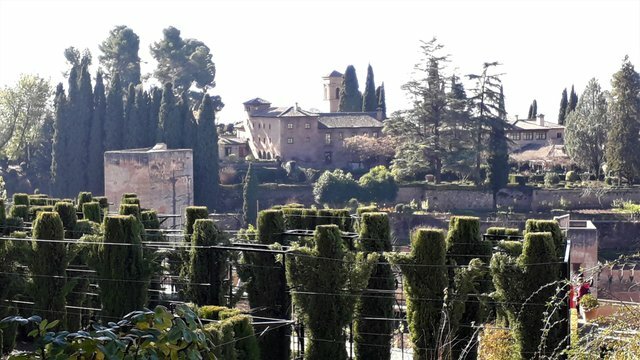 There is also the hundred-year-old Alhambra Woods and the many fountains built all over the area. 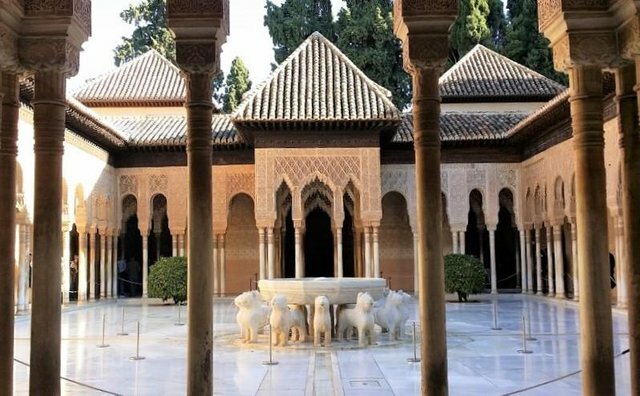 The Lions Court which is the most popular and main attraction of Alhambra. 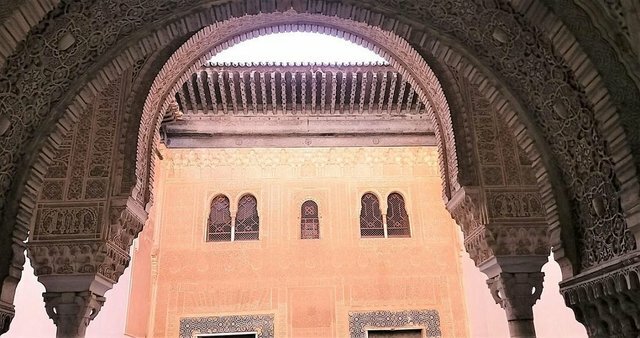 The Muqarnas arch leading to the Court of the Myrtles... Murqanas are prisms normally made of wood to decorate archs, entrances. The military District called Barrio Castrense.. The residential area of the elite guard and some of the soldiers. The ruins on the foreground were what was left of the dwellings of the soldiers. Notice that in every corner where there are grounds, trees were also planted. Trees trained for a labirynth or maze. 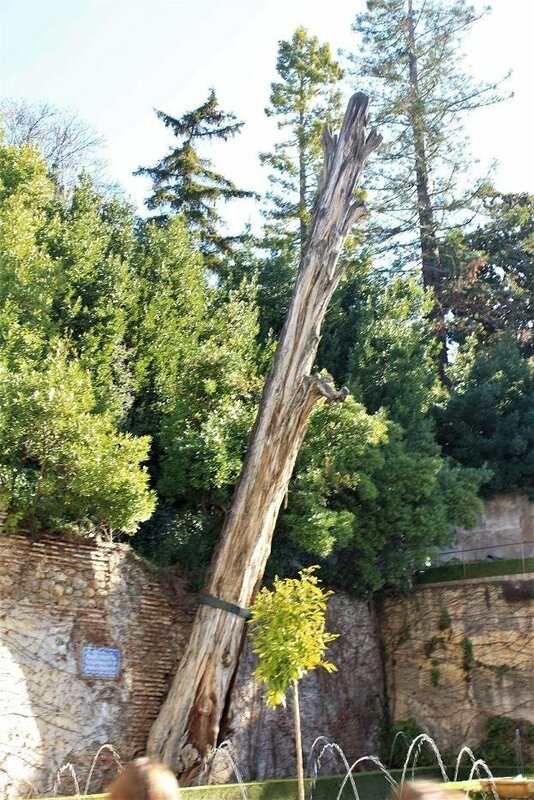 Centuries-old dead tree in the Generalife Gardens which have been preserved due to its age. 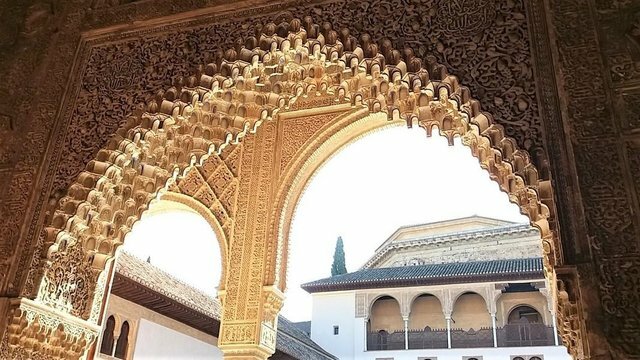 The Nasrid Kingdom was finally conquered by the then catholic monarchs Isabel I of Castile married to his second cousin Fernando II of Aragon defeating Boadbil, the last Nasrid ruler who finally handed over the keys of the city to the spanish hands. 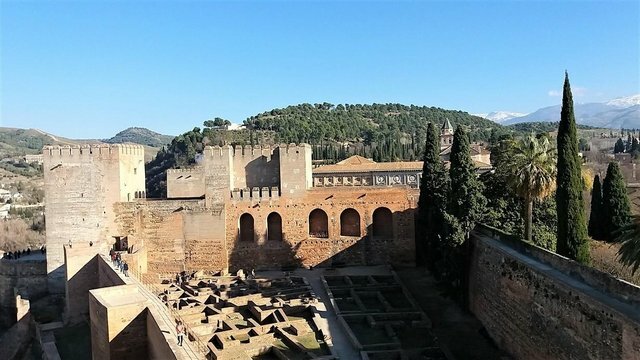 Below is a photo of Alcazaba, the oldest part of Alhambra which was used for military purposes to defend the fortress from enemies. The garden is also full of trees. Let´s have fun and enjoy the day! Cheers! Content and images on this post are origina and by the author. If you´d like to use my photos, please give source credits by linking them back to this site. Your UA account score is currently 3.087 which ranks you at #9908 across all Steem accounts. Your rank has improved 36 places in the last three days (old rank 9944). In our last Algorithmic Curation Round, consisting of 374 contributions, your post is ranked at #331.